Soon to be in your conceptstore: At the Designfestival there are many accessories, Tableware, writing utensils and other small items to be discovered. Here, catapults by Geoffrey Fisher. How much utopia can you handle? Stiff upper lip – that’s how it used to be. But now London is giving the world a smile, and a particularly big one. 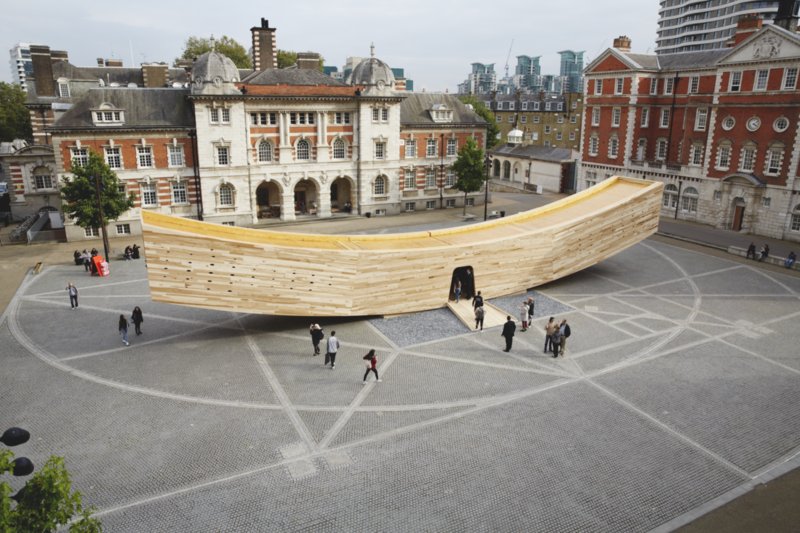 The most spectacular of spectacular installations in the nevertheless far from poor array at the London Design Festival was undoubtedly “The Smile”: A pavilion made entirely of wood, 34 meters long and turned up at both ends like a mouth. Regardless of how the rest of the United Kingdom might relate to the continent in future, for now the capital is smiling in the face of the Brexit crisis. Fittingly, this year the Design Festival is accompanied for the first time by a Design Biennale for which 37 nations have brought the world to London. One of the Festival’s “Landmark Projects this year: “The Smile” by architect Alison Brooks. Even arrival at Heathrow Airport sets relations straight: In the big hall in front of passport control the longest queues form in front of the counters for non-UK and non-EU citizens. Those travelling with an EU passport, on the other hand, appear like a little lost group beneath the huge illuminated “UK Border” sign. Perhaps Europe actually needs Great Britain more than the other way around? The Design Festival, in any case, is somewhat modest, at least from a continental European perspective. There are of course the big installations like the smiling pavilion by architect Alison Brooks or the projects in the Victoria & Albert Museum, which provide for plenty of excitement on Instagram. Yet a visit to the trade shows during the festival demonstrates: This is first and foremost about the British market. 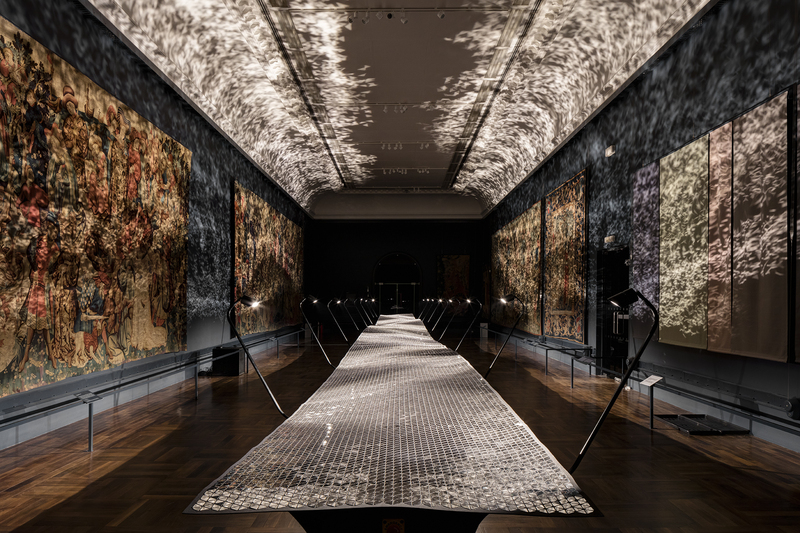 Benjamin Hubert has re-illuminated the tapestry room in the Victoria & Albert Museum with “Foil”, his kinetic installation. The European brands are represented throughout, for example with the country presentations of the London Design Fair or in the Nordic-heavy hall of the Designjunction fair. In addition, many international brands have their own showrooms in the city anyway. But what the manufacturers are presenting is rarely actually new. They are using the festival as an opportunity to present their current range to Londoners – after having previously displayed it in Milan, Paris and elsewhere. That doesn’t mean, however, that the UK is not an important market. On the contrary – high-end design is a status symbol in the city. Not for nothing, for example, does Italian kitchen manufacturer Boffi maintain two showrooms in London; the UK is its second most important export market after the USA. With lights by the current darling of the lighting scene Michael Anastassiades, Boffi displays its wares in the Brompton Design District – in the illustrious company of Bisazza, Kartell, Cassina, B&B and Conran. Vitra has set up a pop-up shop in Shoreditch, and with its prototypes of Konstantin Grcic’s “Stooltool” it is already offering a look at what’s to come with its major appearance at the Orgatec fair in three weeks. One sparkling exception: crystal specialist Swarovski from Austria presents its first lights from its collaboration with London-based designers Frederikson Stallard. Glamour all the way! 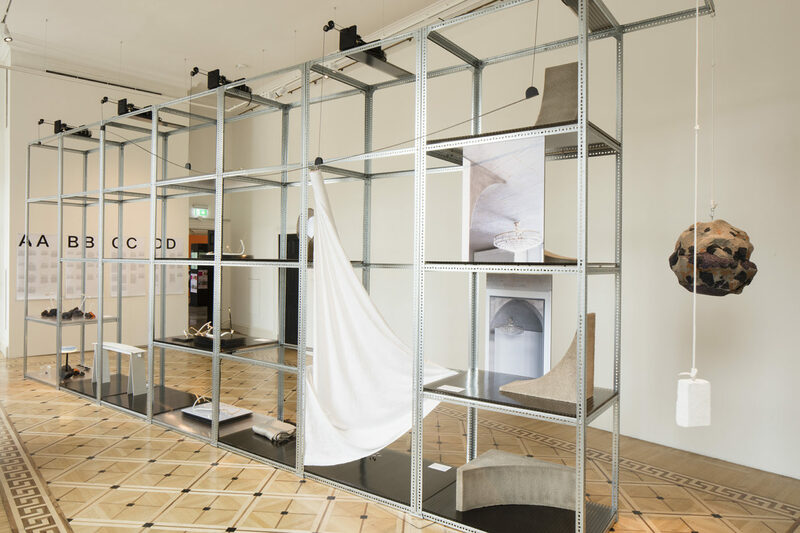 Glamour big time: At the London Design Festival crystal specialist Swarovski presented a collaborative project with the designers at Frederikson Stallard. Even if the big players are maintaining something of a low profile, the trip to the festival in London is nevertheless worthwhile, since there is a great deal to discover away from the established brands. Trade fairs like Designjunction or the London Design Fair with its “Tent” section offer newer, smaller design firms a platform. It is precisely at the many small stands with ceramics, glass, lights, accessories, small items of furniture, stationery or textiles that you find products you won’t find just anywhere. And they went down very well, with design fans packed shoulder to shoulder in the narrow aisles. Some items will undoubtedly be on sale in the respective concept stores next year, but whether these newcomer brands will all actually be around in two years’ time is another question. By appearing at the festival, however, they most certainly gain initial publicity. Designer Bethan Gray is working on contemporary inlay patterns, seen at Designjunction. It is no doubt the prospect of such attention that draws brands from outside the industry too, and some exhibit regularly at the Design Festival. 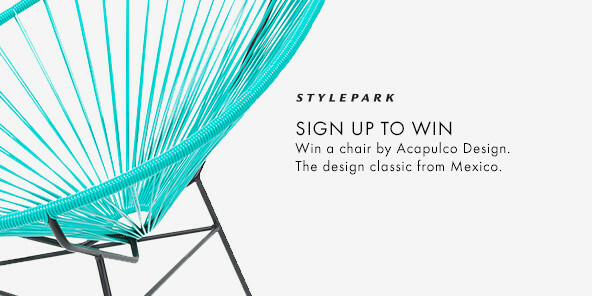 Hence a champagne business shows mediocre installations by nevertheless good designers in the tourist trap that is Soho, and a hipster hotel in Shoreditch scrapes the barrel for a similarly meagre design event. With three pavilions – also in Shoreditch – by architect Asif Khan, automotive brand Mini, for its part, succeeds in making a contemporary statement on urban living. 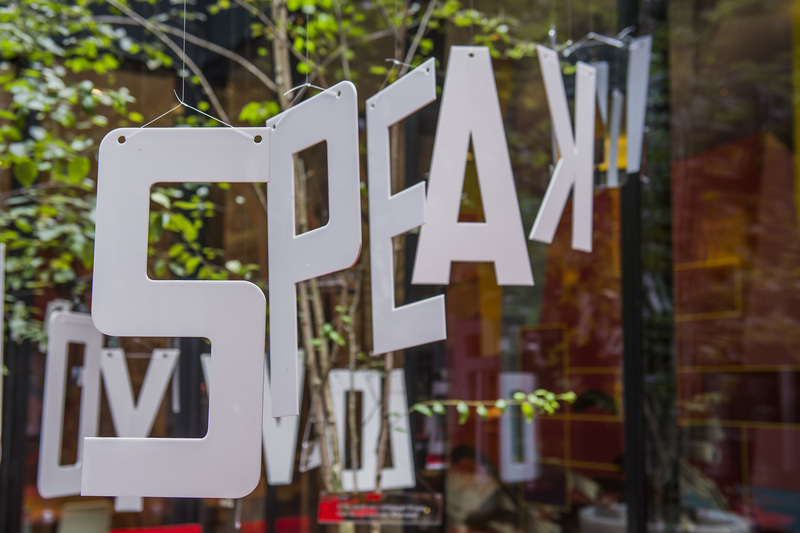 And the hotel chain citizenM has teamed up with the Globe Theatre to create a scholarly installation entitled “Speak low if you speak love”. One welcome occasion is the 400th anniversary of Shakespeare’s death. So no risk of boredom in London at the end of September. So why have those in charge of the festival under Chairman John Sorrell and Director Ben Evans chosen to supplement the program, which is nevertheless continually growing, with the addition of a Design Biennale? 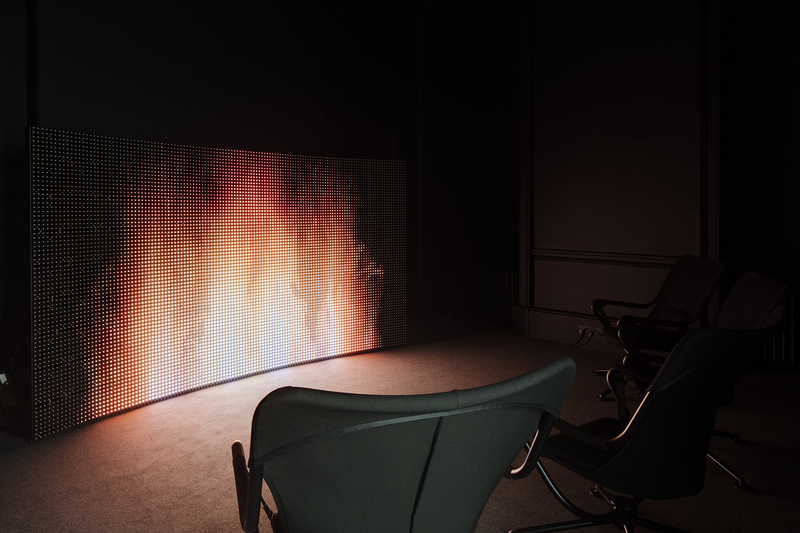 “We founded the festival 14 years ago,” John Sorrell recalls on a tour through the Biennale. “At that time the British design scene was not in a good place, but it has definitely matured in the meantime.” Now, he says, is the right time for new perspectives: “My dream was an international exhibition like the Biennale in Venice, only for design.” Sorrell is certainly not short of ambition. 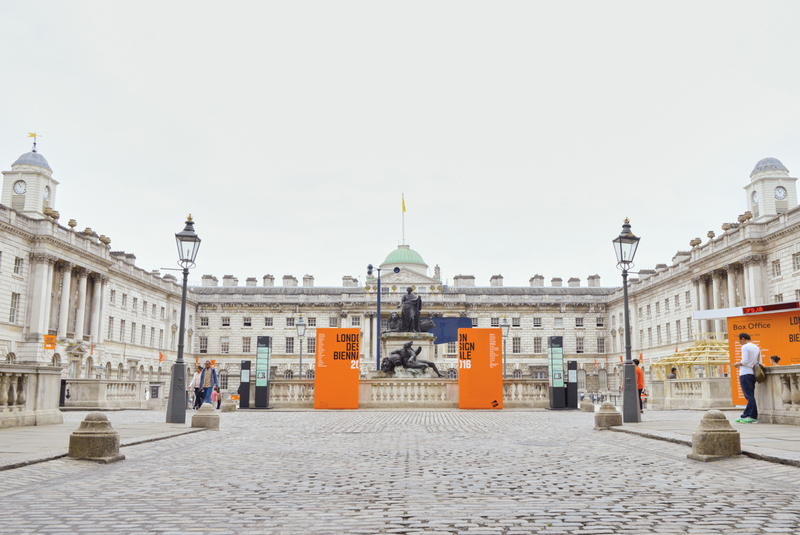 Somerset House, formerly home to learned societies and government offices, was the venue of the very first London Design Biennale. With 37 countries taking part so far, this fresh undertaking most definitely has room upward, but with the impressive former government offices of Somerset House located right by the Thames, it has already found a fitting venue. Indeed the theme of the first edition of the Biennale, which was curated by Christopher Turner, clarifies the claim of this new kid on the block: “Utopia by Design” it reads, since it was precisely 500 years ago that Thomas More’s epoch-making work “Utopia” was published. Some contributions relate more directly to the theme than others. As with this year’s Architecture Biennale in Venice, here too it is possible to see a “social turn”, an examination of the politically embedded question of how we actually want to live. 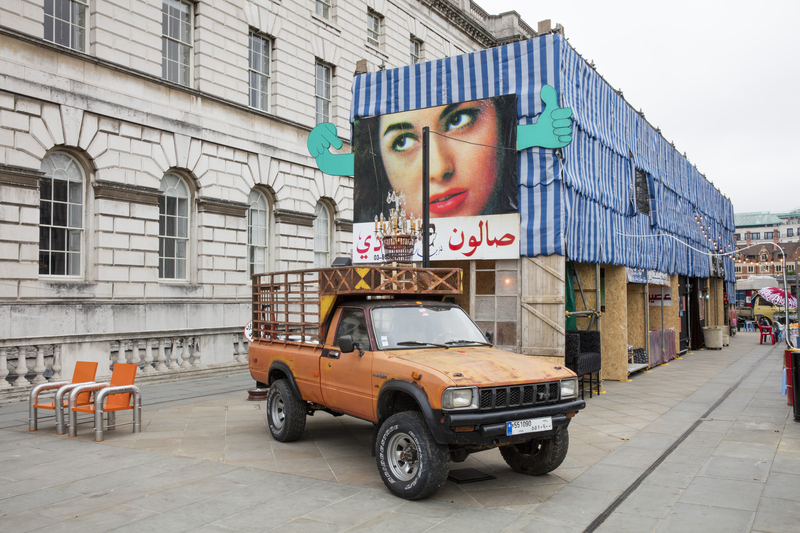 Auf der Terrasse des Somerset House hat der Libanon ein Stück Straßenleben aus Beirut aufgebaut – ein echter Publikumsliebling mit Blick auf die Themse. Some of the presentations are therefore just as likely to have been found in Venice, including documentary approaches such as Norway’s contribution, concepts for barrier-free everyday life or the piece of Beirut street life that Lebanon transplanted to the terrace of Somerset House – complete with falafel smells, freshly-pressed orange juice, Arabian music and a backgammon café. Mexico exhibited an impressive multimedia room examining the border region with the United States. Other contributions were dedicated to quintessential design themes, like that of Switzerland for example, which offered a neat installation of warehouse shelves with co-productions by designers and engineers. Super-light building materials, special lenses and innovative textiles point towards the future of our everyday items. With its excellent exhibit, Russia chose to examine utopian ideas in Soviet design. In a documentary film, design historians and designers who were active at the time have their say. The walls are covered with backlit photographs of vehicles, electrical appliances and household goods, but also by measurements and technical drawings. Here alone, one could easily while away half a day. Other concepts, on the other hand, get tangled up in the rather cumbersome theme, for example the trivial installation by Studio Makkink & Bey for the Netherlands or Konstantin Grcic’s Doppelraum for Germany, which actually reflects our country rather well in that it has turned out to be somewhat cramped and overly intellectual. Konstantin Grcic masterminded the German contribution to the London Design Biennale – sadly, the upshot is pretty intellectualized. 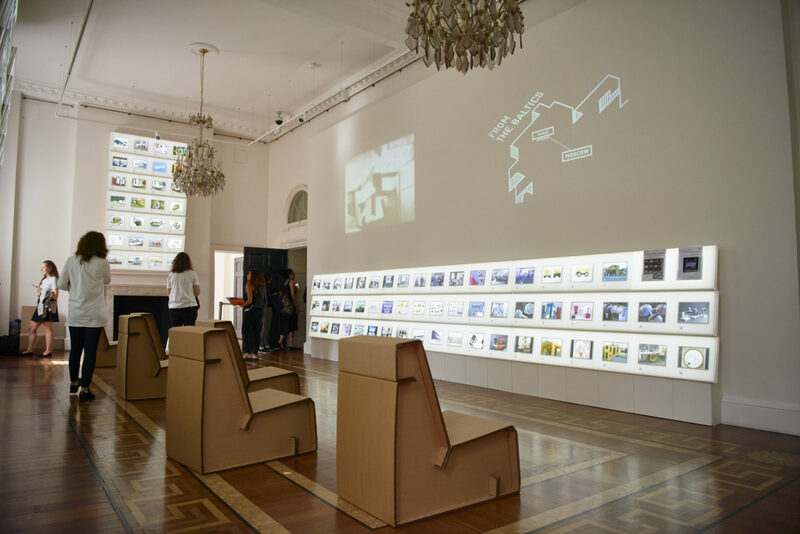 Rather involuntarily, the Biennale showed that the search for a different, better life most likely leads out of the museum space. Many a project in the Design Festival came much closer to the question of how we want to live than did the country contributions at Somerset House. Mini Living, for example, with its three pavilions that open up new prospects for everyday urban life – perhaps not yet realizable in this form, but nevertheless desirable and within conceivable proximity. Or the exhibition by industry design consultancy Map, which develops products financed by crowdfunding for start-ups – and in doing so is a constant intermediary at the design level between the real object and its digital networking, be it with an educational computer, a doorbell or a bicycle compass. It is projects like this that actually dictate in miniature what our everyday life will be like in a few years’ time. In Shoreditch industrial design consultancy Map presents projects that it developed together with start-ups and financed by crowdfunding. In the Russian space you can set out to explore Soviet design. Switzerland opts for the interdisciplinary – collaborations between designers and engineers.